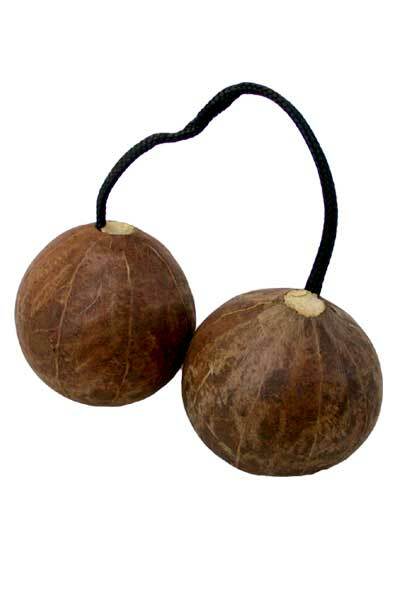 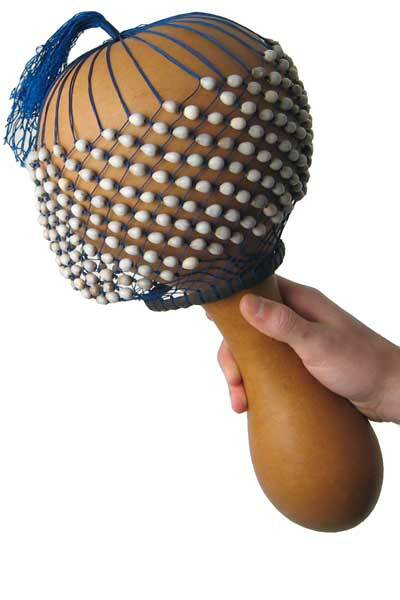 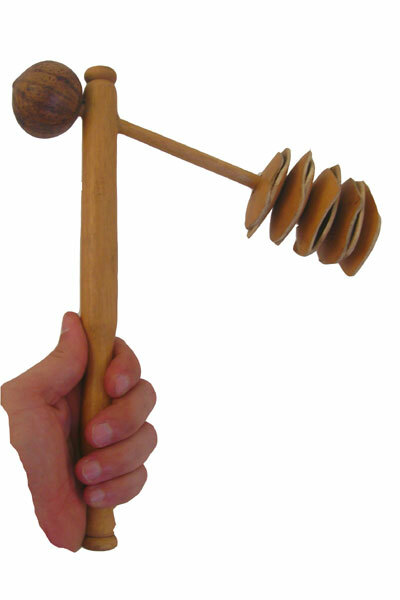 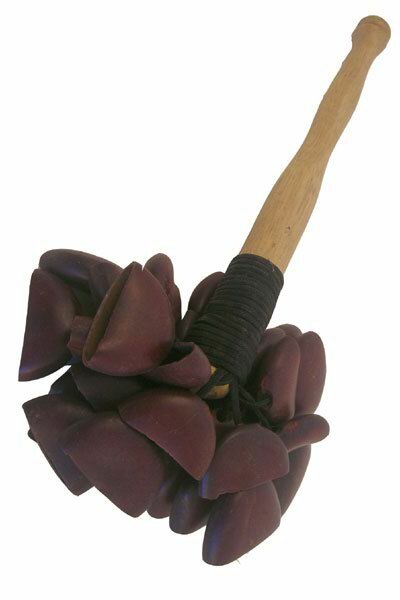 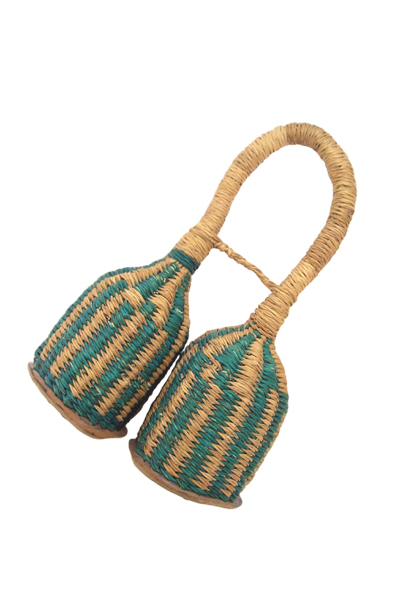 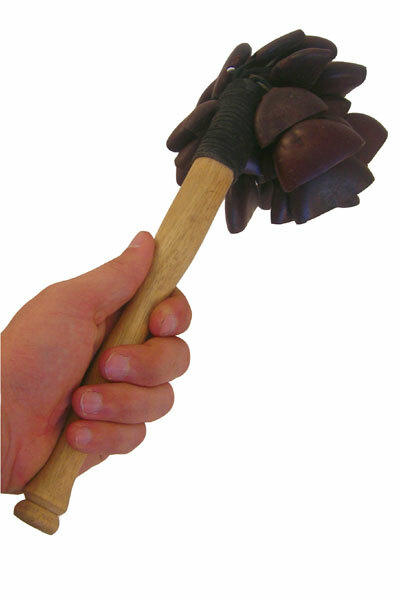 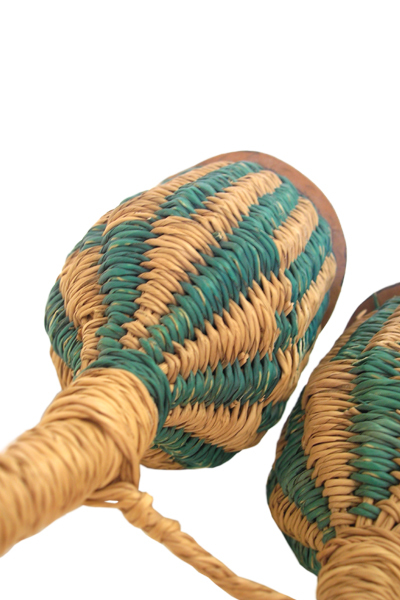 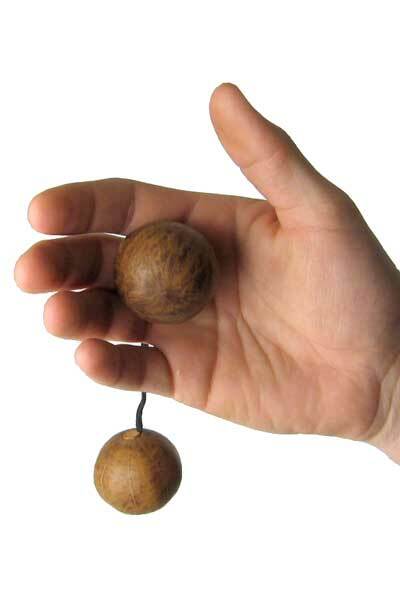 The wasembe (wah-SEM-bay) rattle creates a very loud, high pitch, striking sound when the gourd slices clack together. 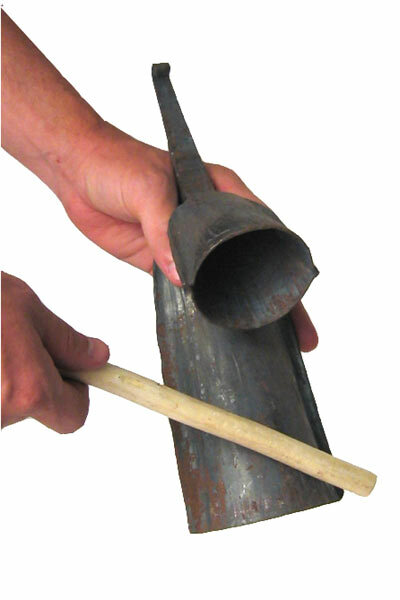 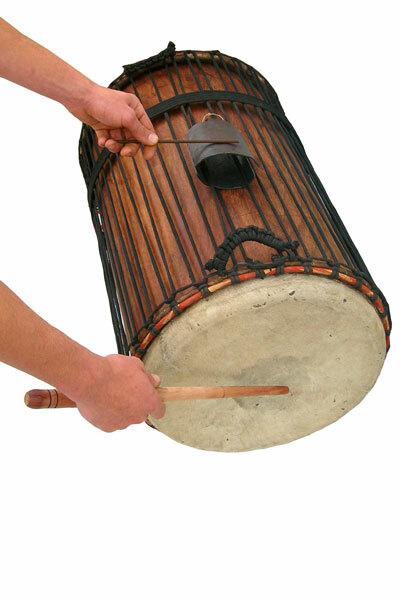 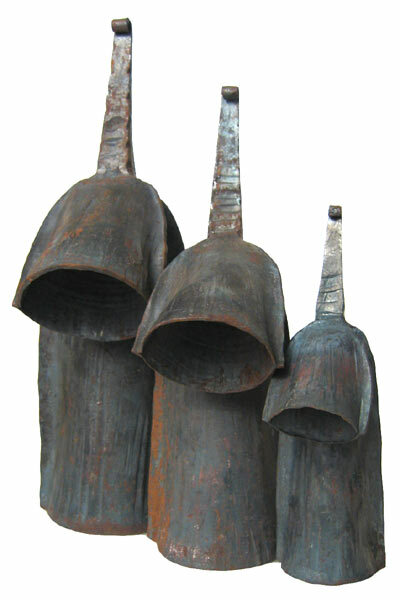 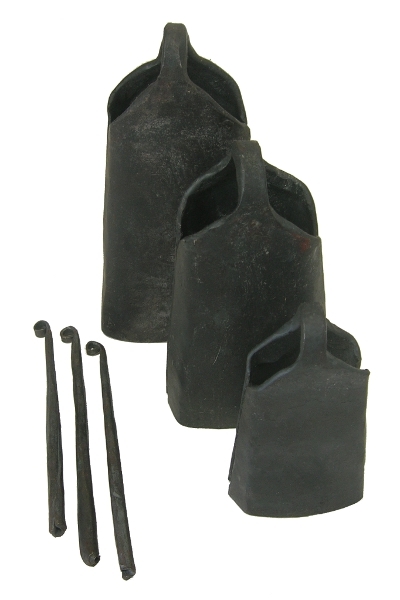 Versions of this instrument exist all throughout Africa, known by different names, including ratatak, telewasa, and wasaumba. 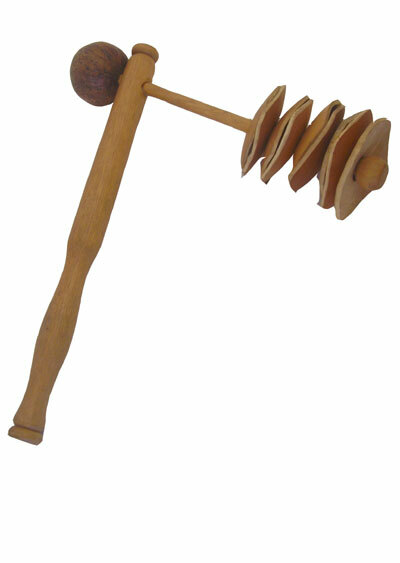 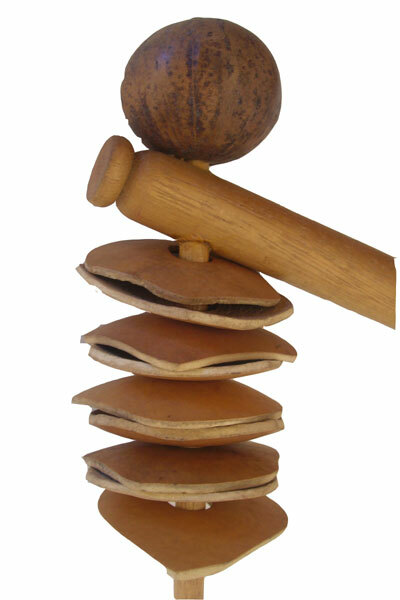 It is played with quick downward motions, causing the gourd slices to move up and down the connector stick. 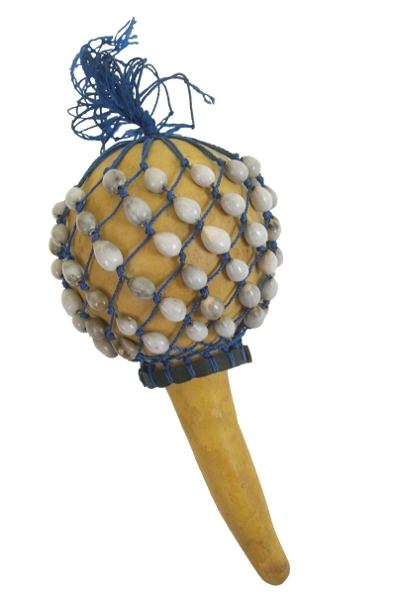 It is 12″ tall with a solid Odum handle.